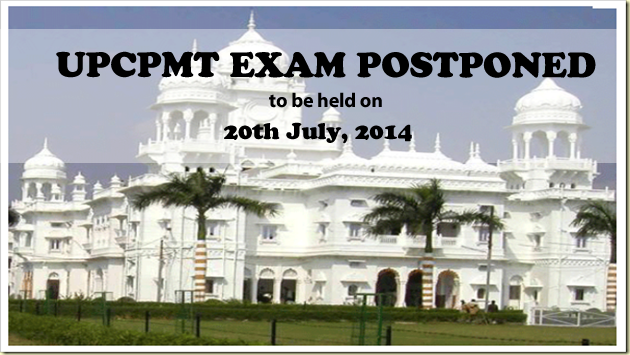 UPCPMT 2014 exam that was supposed to be held on June 22, 2014 has been cancelled due to paper leak detected in Ghaziabad. According to Hindustan Times "The test was cancelled after officials of the district administration in Ghaziabad, along with the police and King George's Medical University (KGMU) officials, found that someone had tried to open the sealed boxes containing the question papers." Approximately 1,09,219 candidates were to appear in the test at 213 centres across 15 districts for admission to various medical colleges in UP. UPCPMT 2014 is rescheduled for July 20, 2014. Join more than 10,000 students in preparing for UPCPMT in 2014 on simplylearnt.com.